A summer celebration for the company can be an ideal opportunity for employees and colleagues to get to know each other from a different side. Good weather, the finest culinary treats and an active entertainment program can unexpectedly break the ice among co-workers. When organizing a summer party, companies can choose from various attractive locations. If the atmosphere in the selected location is just right, the festive get-together can immensely boost team spirit. during a soapbox Grand Prix: building, tinkering, winning! A summer celebration for your company is a fantastic idea in order to motivate staff and guarantee for a relaxed working atmosphere. During an exciting and eventful celebration, your team moves closer together and develops a new sense of unity that has a positive effect on the general mood and efficiency at your business. A summer celebration is a great opportunity for colleagues – especially new ones – to get to know each other better and have a little fun away from the office. Fun and diverse activities aside from everyday work life present participants with the opportunity to get to know each other from a different side. Whether your company is currently undergoing a successful business phase, and you want to reward employees for their hard work and effort, or whether you are stuck in a “summer slump” and need a motivational push – A summer celebration is always a very welcome and ideal change, and it improves the connection between employee and company. Treat yourself and your staff to a spectacular summer celebration with teamgeist and enjoy this festive get-together. Summer celebration with teamgeist – why? 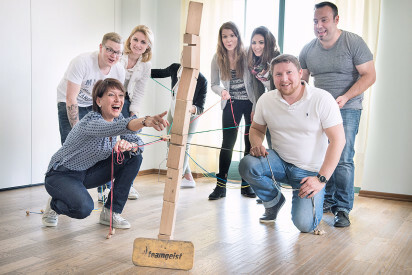 With more than 20 years of experience when it comes to exclusive and professional corporate retreats and team events and with more than 30 employees, teamgeist is a master of organising, planning and executing truly unique and unforgettable summer celebrations. We offer the perfect locations in all of Germany and are ready for action in more than 80 cities. Thanks to our extensive selection of corporate events, we have been able to fascinate and satisfy a wide range of companies, while strengthening cooperation, team spirit and team work during more than 10.000 team events. A summer celebration with teamgeist promises to be a very special and fun event for everyone. 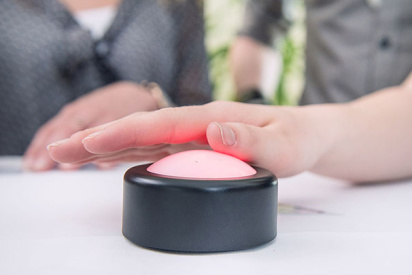 Every teamgeist event is customised individually according to your needs, desires and ideas. A team building experience with teamgeist turns colleagues into friends and will leave your staff with wonderful memories. There are no boring standard events with teamgeist. 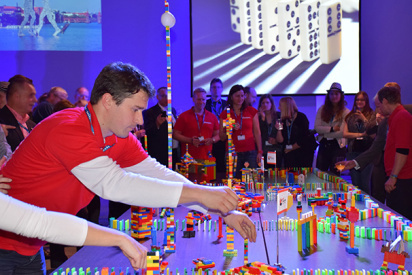 Present your company with a day full of fascination and fun, a day that inspires and motivates your team. All you have to do: Send us your request today and we can consult you about the many different options for a truly unique summer celebration. What kind of summer celebration? Thanks to our diverse selection of more than 15 ideas for your perfect summer celebration, we can definitely cover the interests and preferences of your team. Whether hobby athlete or strategist, water rat or handyman king – during a truly unique ride on a dragon boat, fun soapbox rallies or spectacular competitions, every participant gets their money’s and time’s worth. During our exclusive and action-packed activities, team spirit is always at the very core of every event. 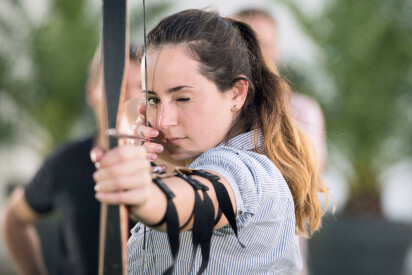 With summer weather, adventurous tasks and an exciting programme for the day, your team will be perfectly entertained, and a summer slump is out of the question. 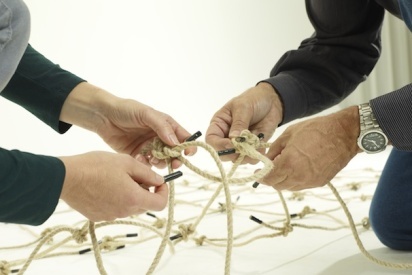 If your team consists of a bunch of technology enthusiasts, surprise them with a thrilling team challenge! 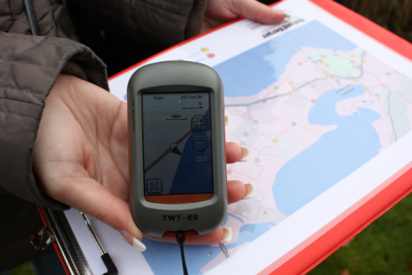 The tabtour is an exciting and dynamic high-tech scavenger hunt, for which we were awarded with the German Tourism Prize in 2012. 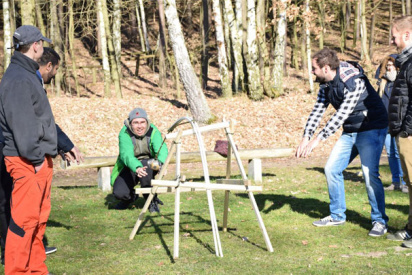 During the fierce contest for up to 1000 participants, tricky riddles have to be solved and thrilling challenges have to be completed through strategic teamwork and perfect coordination. These and other qualities such as communication and team spirit are boosted through the adventurous rally, improving the efficiency and general atmosphere at your workplace. Where can a summer celebration take place? In general, the event location per se is not at the center of our corporate retreats, because the adventure as a team and the features of the individual experiences are most important for us. The complete satisfaction of every participant is our number one priority. Thanks to our large team and our professional organisation, we are mobile and flexible, ready for action and perfectly equipped for any location. Whether you want your summer celebration to take place in Berlin, a different metropolis or in the countryside – between North Sea coast and the Alps, teamgeist is here for you. 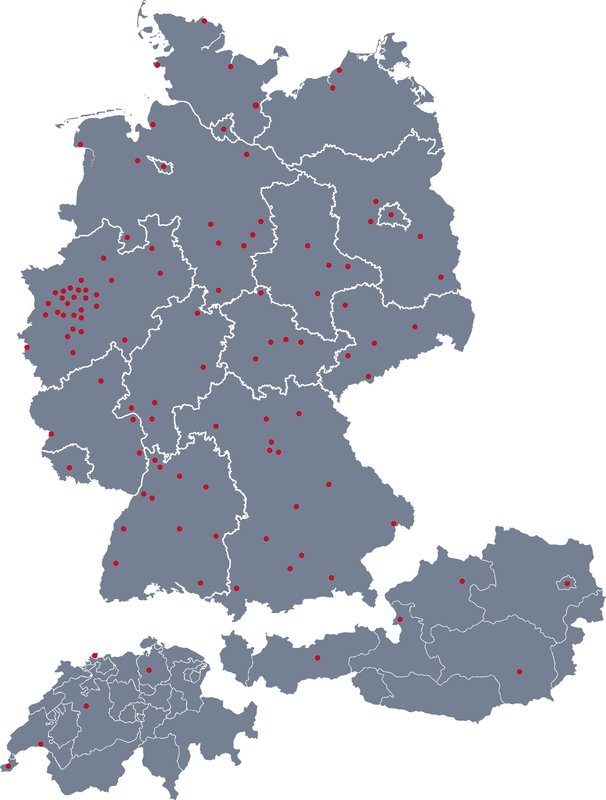 We also offer region-specific events in many German cities. A summer celebration in Berlin, Frankfurt or Munich, for example, has more opportunities to offer than celebrations in smaller cities or rural areas. 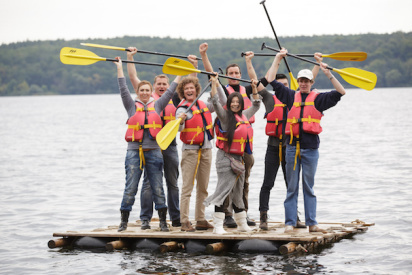 Water sports such as canoeing, riding the dragon boat, sailing or a team raft building event will challenge and entertain your team to the fullest during this warm season. Teamgeist presents you and your company with an ideal opportunity to take part in a truly unique experience for both, management and staff. Send us your request today and together we will organise a summer celebration for you that is going to be THE highlight and topic of discussion for weeks to come.